How much money, do I need to save, in order to retire? In fact, how much money does a person need, to retire for 30-50 years, in this day and age? My thought has always been….. Long term, at 5% interest, 2 million dollars in retirement savings, will accrue $100,000 dollars per year, in interest alone. This type of investment will compound annually, without any money falling off the bottom line. However, WITHOUT this type of investment, 1 million dollars in retirement savings, would only allow a retiree, about $30,000 dollars per year, for 30 years. These types of numbers are of the utmost importance today. Most Americans today, are aware that deficit spending threatens the future of the modern Social Security System. Today, retirees in America receive over 700 billion dollars in Social Security benefits, per year. In last month’s article, I outlined these statistics; (to read last months article click here). That means elders, WITHOUT retirement savings, are currently receiving an average of $1,180 per month, in the form of Social Security retirement. These statistics vary, depending on the amount of taxes each individual paid, during his or her career. However, what most Americans ARE NOT AWARE OF, is that this system of Social Security retirement, may one day collapse. Currently in America, roughly 70 million retirees receive Social Security benefits. The age requirement for these benefits is 62 years old. While Social Security is the single most common form of retirement today….. I find it safe to say, that most Americans aren’t aware, or properly educated, about their retirement options. To be perfectly clear…. The Social Security System may not last. With a ballooning population of young Americans growing older, in the near future over 100 million Americans may come to rely on Social Security benefits. This presents a grave fiscal problem. So how can Americans avoid this fiscal nightmare? Image result for: “social security running out of money,” via – Google search. Not only are times changing, but think about what that means in terms of income disparity. That means you literally have to accrue 2 million dollars, just to retire well off in America today. Furthermore, even if you save 1 million dollars throughout your career, without making sound investments, you could retire poor. This is terrifying to me, as a 31 year old male, in terms of income disparity…. Take a minute to really think about these numbers…….. This issue gets far too little attention, both in American classrooms and the mainstream media. Furthermore, this issue currently impacts everyone in America today. When you put those retirement figures into perspective, it’s easy to become frustrated, particularly when thinking about the Occupy Wall Street Movement. I personally protested, with over 50,000 Americans, at Occupy Portland, only to feel like the US Government, as well as the mainstream media, swept this issue under the rug. Furthermore, this type of fiscal irresponsibility is being leveraged onto future generations. This is a major problem signaled by the 70 million retirees on Social Security today. These massive Social Security statistics indicate that Americans don’t talk nearly enough about retirement savings. Nevertheless, this issue in and of itself, in many ways represents a modern day income disparity never before witnessed in American history. You need 1 million dollars to retire poor…… And nobody ever talks about it. Very rarely do you hear this type of rhetoric on mainstream media networks. In fact, you rarely hear this type of rhetoric in social settings, or even in public education. This is occurring for a variety of reasons, both professional and personal. However, it’s time Americans “bit the bullet” and began having a national conversation about retirement and retirees. As little as 10 years ago, “the old adage was, ’30 and out. '” This concept basically stated that careers in the private sector, should typically last 30 years. It was then assumed, that after that length of a career, a person could collect a pension, or Social Security benefits……. Yet, this issue is no longer so cut and dry…. 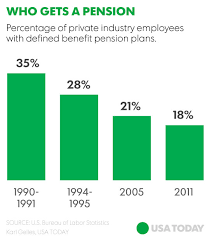 In fact, in many ways government Social Security today has grown nearly congruent with the “pension systems,” of the 1960’s, 70’s and 80’s. … And that is frightening….. because many of those pension systems, simply no longer exist. Image/data table via -USA Today, via Google search. 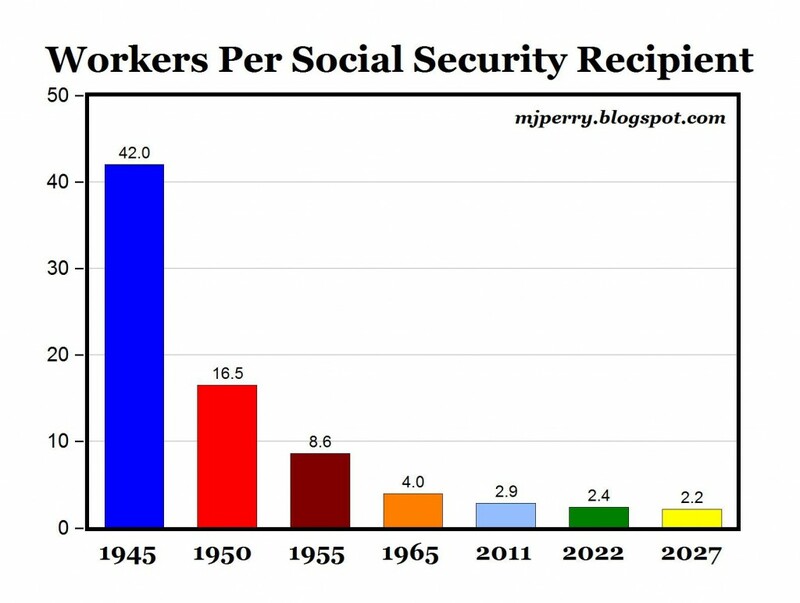 For this reason, I personally fear that one day Social Security might collapse as well, perhaps very much in the same way pensions collapsed 10, 20 and 30 years ago. These pension funds, in Detroit for example, often grew overpopulated and simply collapsed over time. This is a very scary conversation, because I personally foresee a similar fate besetting the Social Security system. For this reason, I personally believe we don’t talk about retirement savings nearly enough. 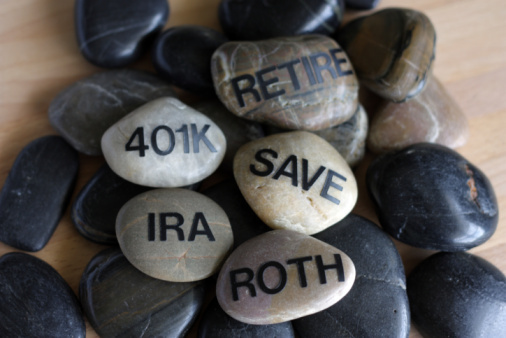 1 option, which many Americans consider especially popular today, is the Roth IRA. This savings strategy allows individuals to compound interest over the course of their career. This fund has certain tax advantages and requires yearly investment(s). Most troubling however, is that this type of, “retirement plan,” often only occurs through upper class employers today. But what about lower class employees who are not educated on these options? Furthermore, many investment strategies, including the Roth IRA, are in many ways still susceptible to inflation……. This is particularly concerning, due to the type of inflation created by wage gaps and income disparity today…..
With that being said, where can someone safely invest their retirement savings? Now, 6 years later, it’s time to ask….. Why did the media disintegrate that movement, which was focused on this very topic? This quote, from one of Wall Street’s most experienced brokers, is troubling for a variety of reasons. First, this is particularly scary rhetoric, because most retirement funds today, are affiliated with Wall Street, in 1 form or another. This philosophy is down right terrifying….. Furthermore, this philosophy represents a major generational gap between older and younger Americans. “Don’t complain,” don’t inspire fear in the market because that days trades will go down… This type of rhetoric is very alarming…….. This culture and attitude on Wall Street, is scary for young Americans, looking to the future, for a variety of reasons. Jim Cramer is one of the smartest and most respected minds on Wall Street. This is a man with over 30 years experience, essentially saying; “never complain,” because it hurts investor’s confidence……. So when do we complain? When is it time to say something? This is an especially frightening culture surrounding Wall Street today, particularly in terms of retirement investing. Is this the stance you want your countries financial epicenter taking? Is this the mentality that stock brokers should have with your retirement savings? And furthermore, is this the attitude you want from your government, in terms of your money? Because in essence, this is one of Wall Street’s top minds, essentially telling people just not to talk about it………. Again this scenario, in many ways represents a generational gap in American business today. When does the income disparity… get so bad, that these issues become something we talk about publicly, without an aura of, “taboo?” Or are young Americans simply supposed to wait until the day when Social Security collapses entirely? Furthermore, how many benefits enjoyed by the prior generation, will no longer be available for future generations? What will it take, for us as Americans to stop taking, “the Henry Ford approach,” to business? I’m curious. I really wonder sometimes. I often wonder about business ethics, especially when I see my brother working 6 days a week at the bank, or when I fail to find a decent job, after attending law school. Because long story short, eventually somebody has to talk about it…..